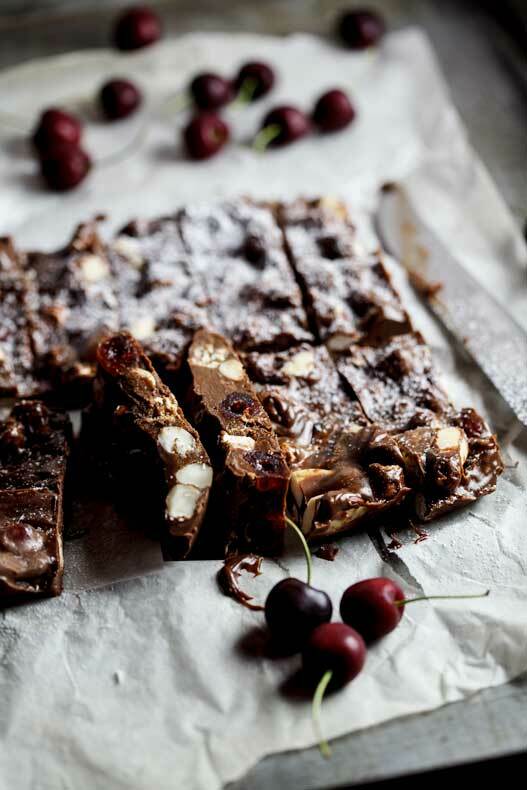 We have many traditions during December, but one that I’m very fond of is the making of Rocky Road. 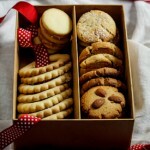 I make a big batch every year and keep it in the fridge for family and friends to nibble on when they come visit. It also happens to be one of the kids favourite Festive treats and they quickly remind me when I need to make another batch. 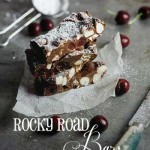 What I love most about rocky road is that you can add whatever you want to it. 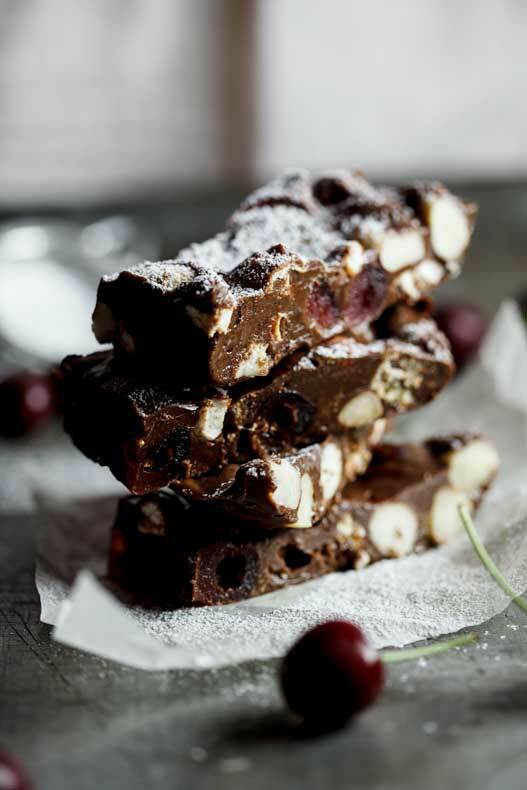 You can make it with dark, milk or white chocolate and add any dried fruit, nuts, biscuits and flavourings. With these bars I added Brazil nuts, glace cherries, some almond biscotti I had lying around and mini marshmallows. 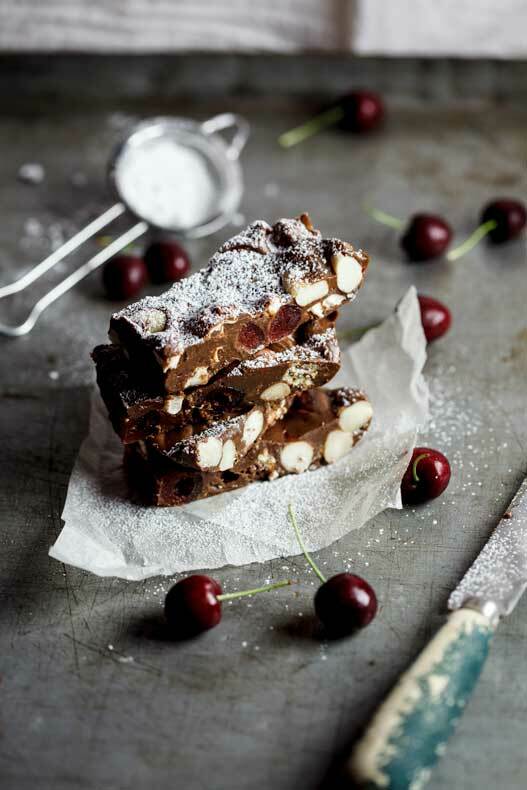 I often make a version with dried cranberries and pistachios and have made an extra chocolatey version by adding malt chocolate balls to the mix. Anything goes, really. 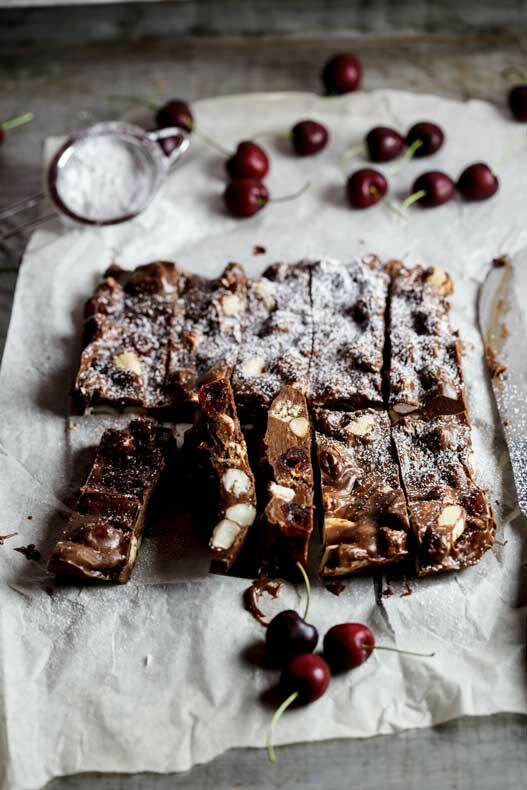 And because rocky road is so rich, you can cut it into smaller pieces (the ones in these photos are actually a bit too big) and you can easily get around 20-30 squares out of this batch. But don’t be fooled, it won’t last long. It never does. Line a 20cm x 20cm baking tin with baking paper. Melt the chocolate, butter and corn syrup in bowl set over a pot of barely simmering water until smooth and glossy. Remove from the heat and fold in the remaining ingredients. 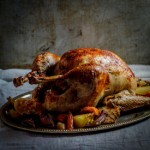 Transfer to the prepared baking tin and place in the fridge to set for at least 3 hours. Raphaele, I don’t cook with agave so am not sure if it will work. And yes, any cherries will work great in this. Do you think it would work with agave ? Is glace cherries like candied – would dried cherries work in your opinion? My pleasure! Hope you liked it! I’m thinking rocky road ice cream … thank you for this! !